Many aspiring young dancers take dancing very seriously. 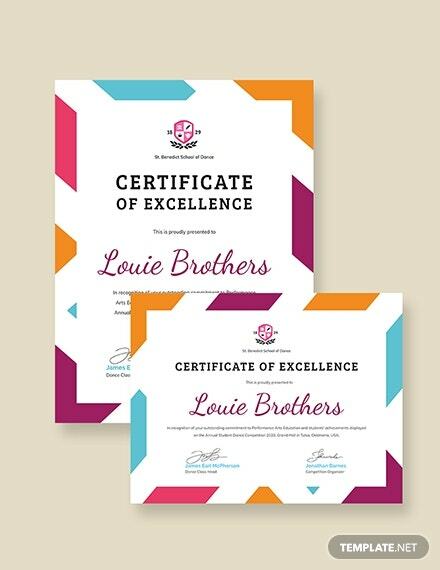 Awarding a certificate of appreciation is a way to acknowledge the feat of the individual or the group of dancers. This recognition is awarded through Dance Certificate Templates authorized and attested by the befitting/organizing body. 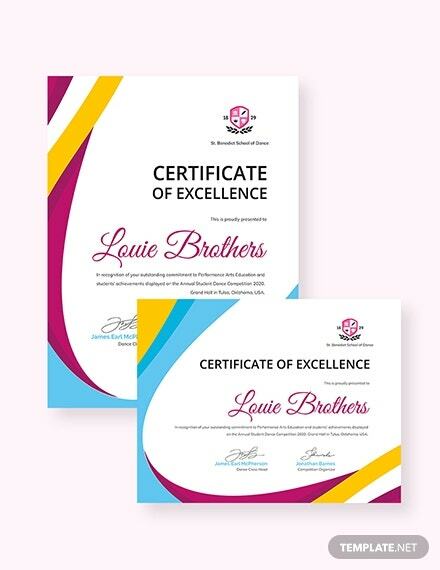 Opt for one or more of the 6+ Dance Certificate Templates with successful Internal Link Anchor Text and then post the screen shot of such certificate of appreciation templates on social media to share your achievement. You can also see Certificate Templates. This food vendor application template is a great way to reach out to many people with your delicacies. 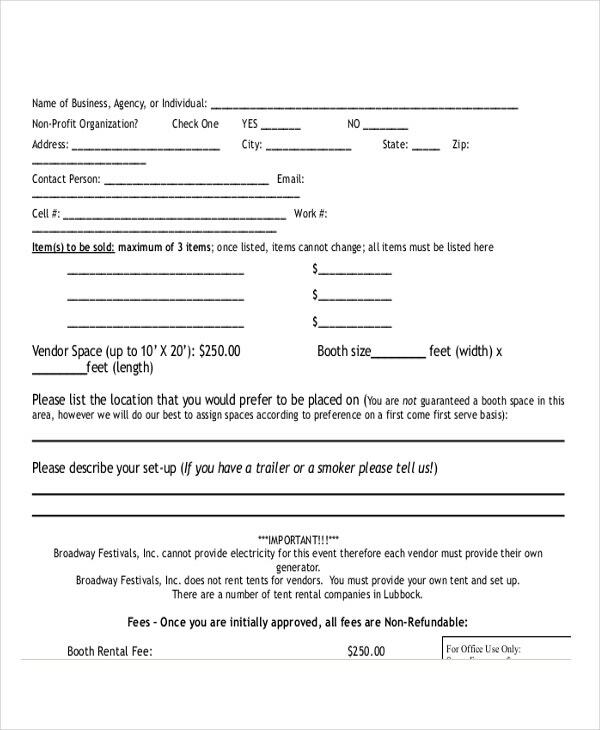 As one certificate of participation templates in the 2016 4th ON BROADWAY @ MACKENZIE CELEBRATION, this template provides all the guidelines and the application form to set up your booth during the event. 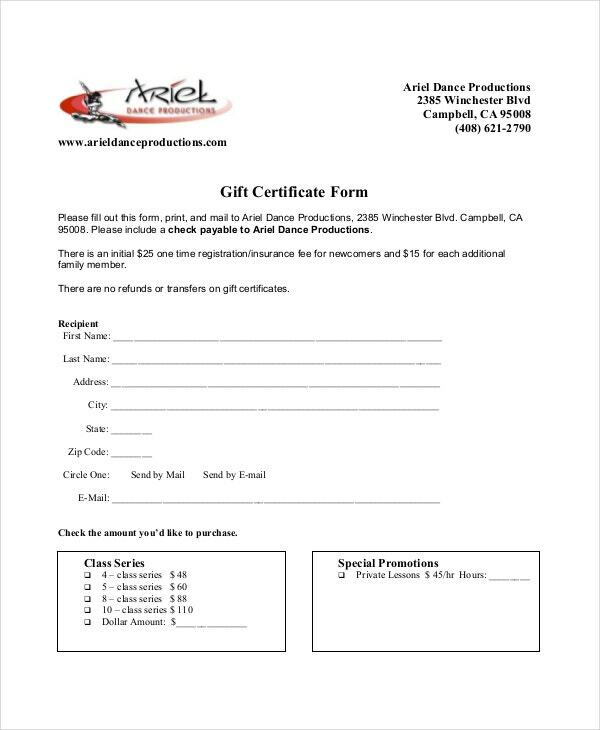 Talented individual/group dancers looking for proper dance training can make the most of this gift certification form by Ariel Dance Productions. 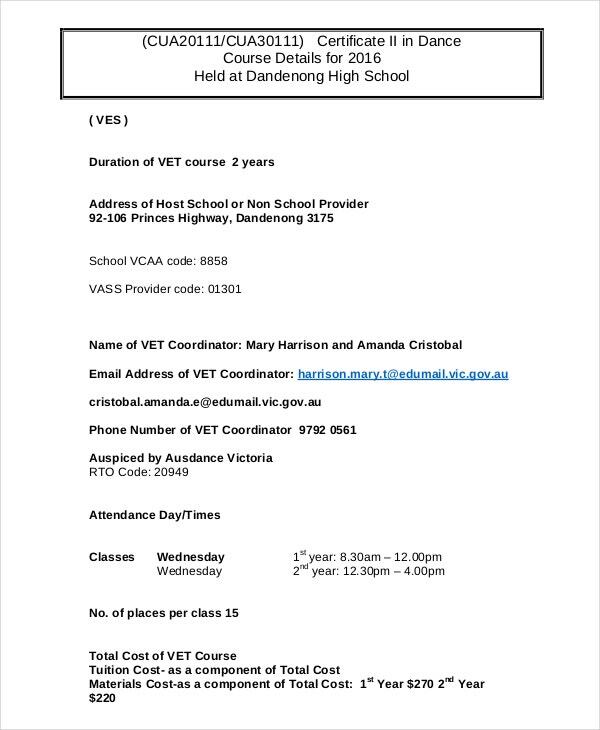 Such training certificate templates help build careers of dancers. As in most gift certificate templates, you will find all information on program details, fees and an application form here. 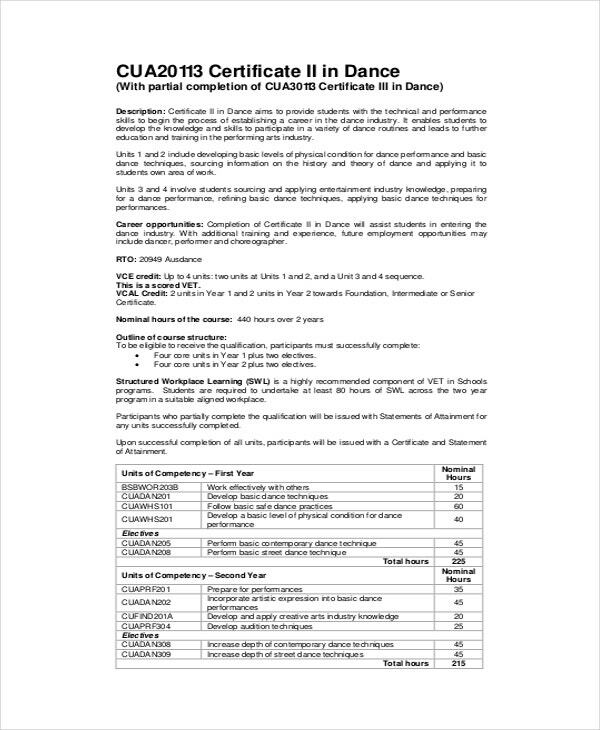 If you are seriously thinking of making a career out of dancing, this CUA20113 Certificate II in Dance offered by Hallam Senior College is the perfect way to learn all the technical and performance skills. This dance performance certificate template offers course outline, eligibility, nominal hours involved, and career opportunities. Want to represent your school in The Minnesota State High School League Dance Team Competition? This Dance Competition Template is a form to apply for choreography certification and music and lyrics certification. You will come across all rules and regulations to abide by in order to participate in the competition. 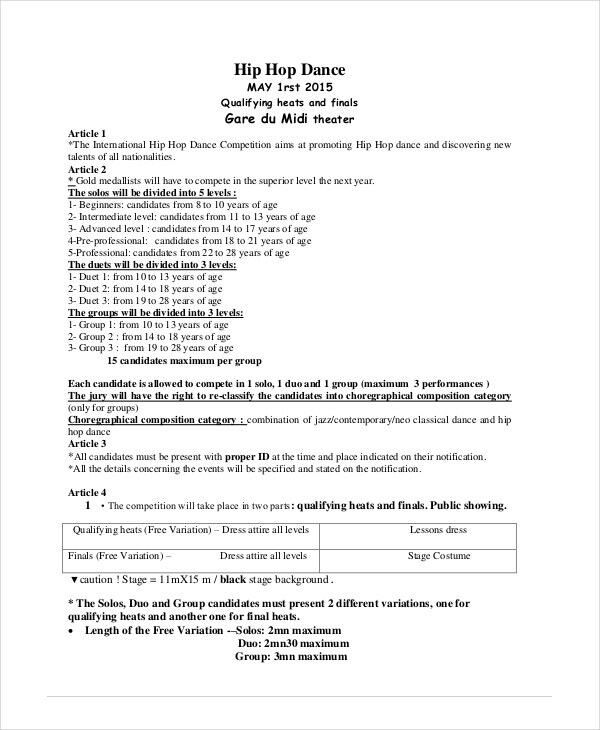 As the name suggests, this template consists of the rules, guidelines and the “Entering From” for applying to The International Hip Hop Dance Competition. This competition is open to adults as well as minors. 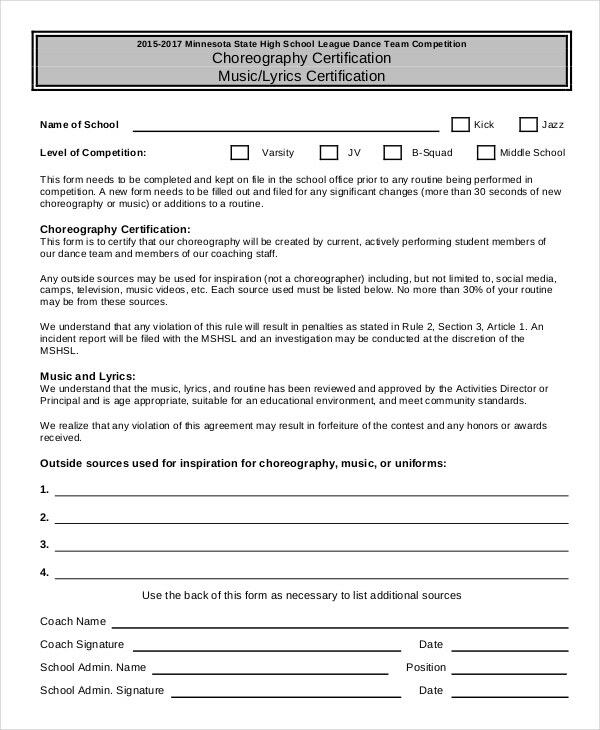 All particulars related to participating in the event are available in this Hip Hop dance certificate template. Such certificate of completion templates help you gain performance and technical skills that help you gain entry into the dance industry. You are exposed to trained professionals whose expertise and experience in this field can guide you to make proper moves and expand your horizon. Moreover, you get to socialize with other dancers from other parts of the country and learn new ideas and skills from them as well. These platforms helps you measure how skilled and confident your dance moves are. 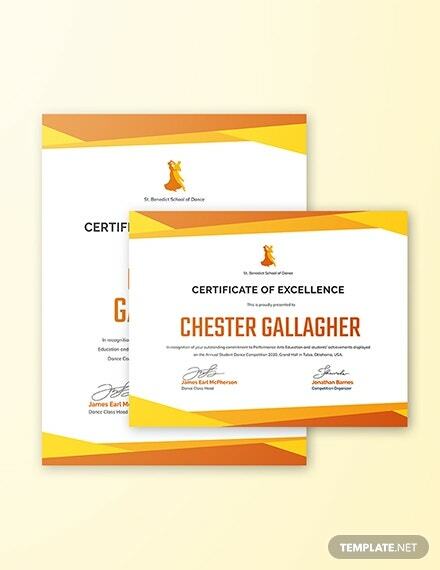 These PSD Word Vector EPS Formats or power point certificate templates help build your career as a professional dancer. You can also see Winner Certificate Templates. Of course, these dance certificate templates with free download option are ways to acknowledge your talent. When a recognized authority appreciates your efforts and rewards your hard work, it feels great. It boosts your morale and you feel that the investment you made all those years in dancing is worth it. 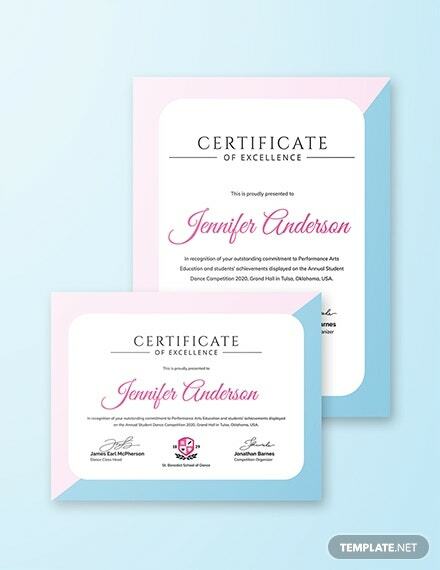 Everyone looks for appreciation and if you receive awards from proper places, you can add these certificate templates to your resume which will help escalate your dancing career. Consequently, your family will be bound to understand the seriousness of your career choice and support you in pursuing your dream.You may also see Graduation Certificate Templates. 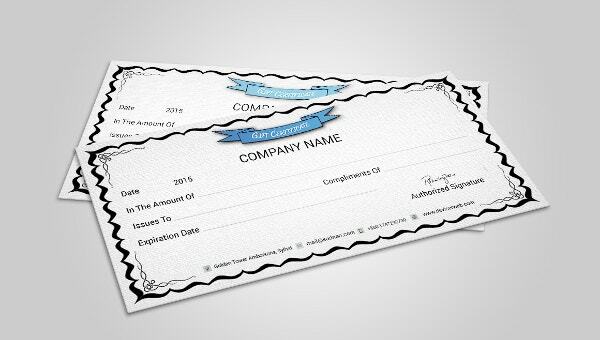 These dance certificate templates are editable and with your name on 6+ dance certificate templates, you can post the certificate on various social media to make your popularity grow as a dancer. Just take a screenshot of your dance certificate template and put it up on Twitter or Facebook and you will gain the attention of many. Even professional dancers may come to know of your talent through your posts and end up giving you a chance to perform with them. Finally, you get to take pride in your talent as a dancer and show your worth to the world. You may also see Funny Certificate Templates. It is high time you started doing something about your dancing career instead of just thinking about it. 6+ Dancing Certificate Templates give you the perfect opportunity to step into the dancing industry by helping you earn one or more Competency Certificate and make a career as a professional dancer.